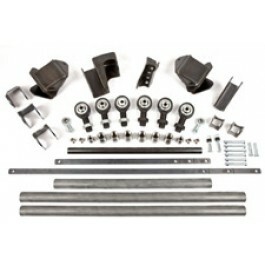 Front 3-Link Kit is the only complete kit for Toyotas on the market today. This kit is affordable, user friendly, and strong. The link material is 2" x .250" wall DOM tubing, while the rod ends are 1.25" Sloppy Joints. 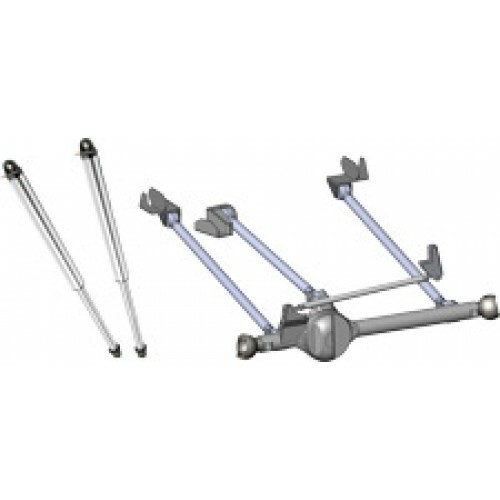 All brackets are 1/4” steel, formed and welded. With 14” shocks we are getting 40” to 50” of articulation depending on the suspension in the rear of the truck. This kit has been extensively tested and has been in service for months on multiple trucks and has proven itself to be another cookie cutter suspension product. Kit. Includes everything you need except upper shock mounts. Upper shock mounting location varies from vehicle to vehicle.